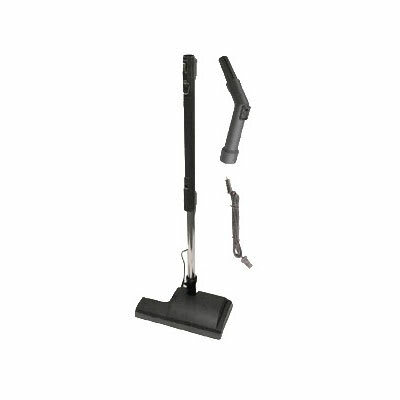 The Bissell BG-BPAK1 backpack power nozzle has a 15-inch cleaning path for cleaning large areas. A belt and roller help prevent clogging and jamming. An upper sheath assembly and lower wand are included for full use of the unit. Disconnecting the nozzle from the machine is easy with the quick disconnect lever on the nozzle's neck. Storing the Bissell BG-BPAK1 backpack power nozzle is simple with a storage ring for wall mounting. This accessory is designed to go on the BG1006 and BG1001 backpack vacuums.